Glow your own way with these gorgeous, ultra-concentrated illuminating and bronzing drops. Available in nine universal shades (seven glow-giving and two bronzing), these customisable drops can be used alone for light-reflective strobing, or added to liquid foundation or skin care for unbeatable all-over radiance. Gleaming like molten metal but free from giveaway glitter, you won’t know which shade to snap up first – but, thanks to Cover FX’s commitment to suiting all skin tones, whichever you choose, you’ll be sure to find the right hue for you. Tired of no-glow or scared of over-glow? You can (finally!) 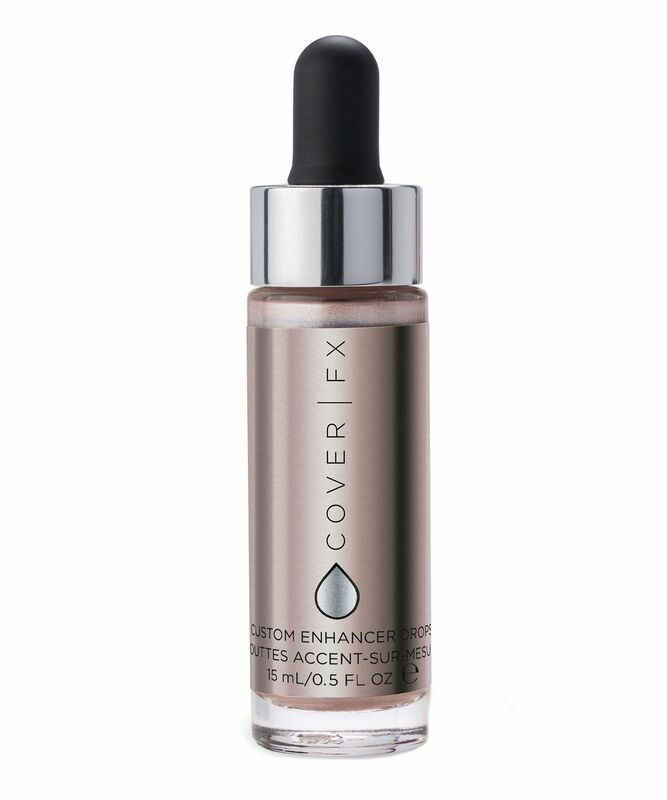 glow your own way without giveaway glitter with these ingenious customisable drops from Cover FX. A thing of beauty to behold, Custom Enhancer Drops come in a luscious line up of nine universally flattering shades – the seven illuminating hues are holographic ‘Halo’, pearlescent pink ‘Blossom’, pink-bronze ‘Rose Gold’, glistening pearl ‘Celestial’, shimmering beige ‘Moonlight’, glowing gold ‘Sunlight’ and golden bronze ‘Candlelight’, which are joined by two marvellously matte bronzing shades, deep bronze ‘Sunset’ and lighter bronze ‘Sunkissed’. So, how to use these delicious drops? Wonderfully versatile, they can be used alone to achieve buildable highlighting and bronzing – even bold, light-reflective strobing – thanks to the high concentration of ultra-refined pearls. As well as this, they can be added to your favourite liquid foundation or skin care product to achieve an enviable all-over glow. On good skin days, simply add your chosen shade to primer or moisturiser and prepare to receive many an envious glance. Formulated without parabens, fragrance, gluten, mineral oil or talc, the skin-loving formula will look after your complexion. The more drops you use, the more luminosity or bronze you’ll get. This is probably my favourite makeup product from my whole collection. I mix it in my moisturiser, I use it on the high points of the face, I would bathe in it if I could! It blends seamlessly and you can build it up to your desired intensity without it ever looking cakey. Absolutely beautiful. I bought the shade 'Celestial'. I don't use it as a highlighter as I'm still very new to the whole highlighting thing but I use it as eyeshadow and it performs beautifully! I absolutely love the Cover FX drops. I use Moonshine as a cheek and eyebrow arch highlighter, blended with a soft brush. I also sometimes use a couple of drops and blend as an eyeshadow. I absolutely LOVE this, it's by far my favourite highlighter product and works for me better than the various creams, sticks and powders that I've used over the years. 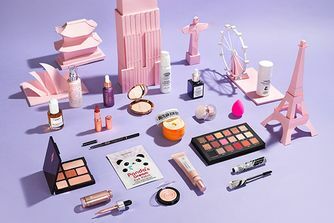 I have the matte bronzing shade 'Sunkissed', and as someone with a fair complexion, I worried that this might be too dark or warm-toned for me. However, it is the perfect neutral shade and, as the name suggests, gives a lovely sunkissed look which can be built up or buffed out as desired. The packaging is adorable but also very convenient - you do not need a lot of this product so the dropper is ideal for dispensing the right amount. I prefer to apply a drop on the back of my hand, then dot this on my face with my finger and blend out with a buffing brush. I haven't used any other bronzer since purchasing this last year. I bought Celestial after months of eyeing it up and wondering if the price was worth it. After buying it I quickly realised how difficult it is to blend out. You only need a tiny bit, but once you dab it on - finger brush or sponge - it just doesn’t budge. It’s impossible for a seamless finish with it. Sunkissed is by far the best liquid bronzer/contour I've used. The picture for some reason shows that it's sparkly but it isn't. Google swatches instead. It's completely matte and it isn't too warm at all. Perfect! I didn’t have chance to see them in person, but I trusted Celestial, Candlelight and Halo. Halo doesn’t dry down so I don’t really like it for highlighting, I do use it as a base for eyeshadow or mix it with foundation. Thought Candlelight was lighter, but I enjoy the product anyways (used as a bronzer, or mixed with foundation, or as eyeshadow, I used it even on my lips). Love Celestial and its nice cool tone. I’m curious about Blossom! I bought Blossom and Halo and I will get all of them. They are great. Little goes a long way. Best liquid highlighter I have ever tried. I get the best glow of my life without fail every single time I use it! Beyond grateful for this product!! The shade Moonlight is absolutely perfect for my olive complexion. It gives me the “wet” look I’ve always desired but never could find anywhere. It’s very versatile and can be used on the cheeks and eyes for that goddess glow. I use this with my fingertip so it can melt into my skin even more. Love it! Great multitasking product. I have Sunkissed (matte shade), Blossom and Rose Gold. Can't be without them anymore. Bought the product a few days ago in the shade celestial, although it did not really make any difference at all mixed with my foundation, it looked amazing as a highlighter on top of my foundation. Would suggest it to the people contemplating buying it. Very good quality and quantity overall. I have it in Halo and I want all of them now! I just mix it with my moisturiser and it gives me this from-another-planet look (which can be very subtle). I love these, I have them in Moonlight, rose gold and halo! Moonlight is what I reach for during winter, and rose gold & halo during the warmer season! It's an intense highlight, which can be built up for a blinding look. i use it as an eyeshadow as well, and inner corner highlights. I love halo, its like a unicorn shade, so lovely when the sun hits the face! i also mix my foundation into them and my moisturiser for an added glow effect! They last for ages too on the face, super staying power! Highly recommend this to anyone whose contemplating getting this. Beautiful and intense glow but can be toned down. Dries quick so you have to work fast but overall - absolutely incredible. I use this highlighter a lot because it stays all day. I had a busy day, lots of running around and sweating, including an hour and a half of badminton, but my highlighter stayed all day. So super pigmented, so you only need the tiniest amount.